Founded in 1983, Advantech has the corporate vision to “Enable an Intelligent Planet”. The company is a global leader in the fields of IoT intelligent systems and embedded platforms. To embrace the trends of IoT, big data, and artificial intelligence, Advantech promotes IoT hardware and software solutions with the Edge Intelligence WISE-PaaS core to assist business partners and clients in connecting their industrial chains. Advantech is also working with business partners to co-create business ecosystems that accelerate the goal of industrial intelligence. 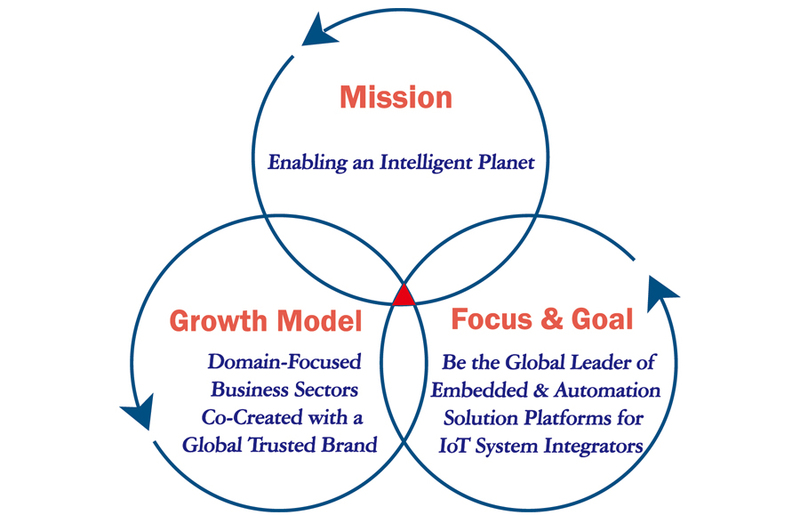 Advantech 3-Circle Principle is based on "Good to Great" written by Jim Collins. According to the book, a company looking for long-term success should clearly address the 3-fundamental principles, and commit to long-term solid execution of these principles. Advantech is fully convinced by this theory so we adhere to it by clearly defining Advantech's 3-Circle Principle as above.